Sweet potatoes are much stouter than their russet potato cousins. 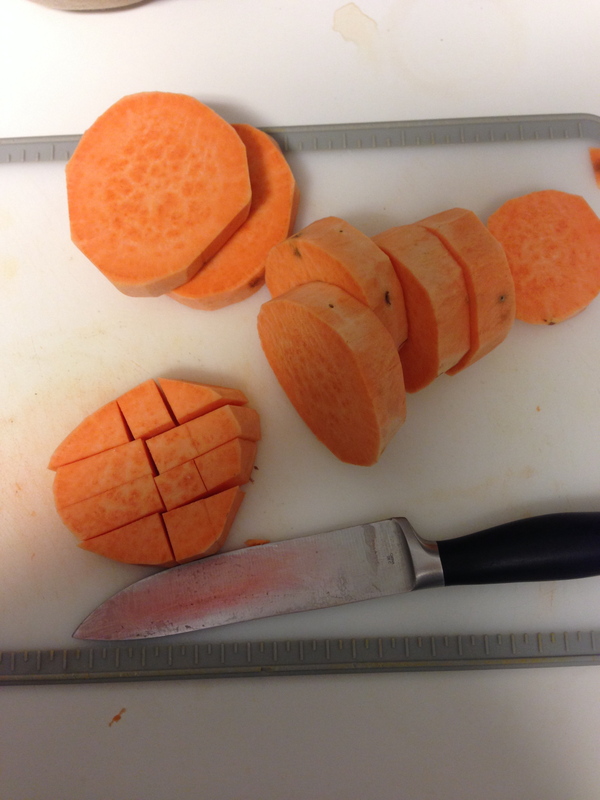 I’ve found that cutting the sweet potato across the midsection instead of lengthwise makes for a much easier time of it. I don’t measure my spices when I’m cooking. 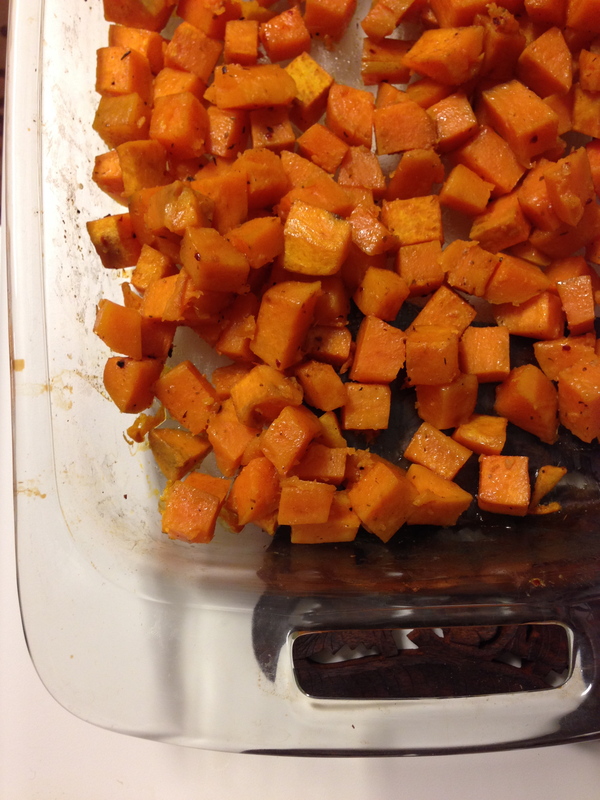 I usually make 4-5 sweet potatoes at a time. Add about 1/2 – 1 teaspoon salt for 4 potatoes. More salt can be added after cooking according to taste. My favorite spice mix is Mrs. Dash’s Southwest Extra Spicy (about 1 teaspoon) with 1/2 teaspoon of cumin. However, nightshades (including cumin and peppers) have been eliminated (and I have to reluctantly admit that it has helped), so I use 1 teaspoon ginger, instead. Ginger gives a nice, savory flavor to the potatoes. 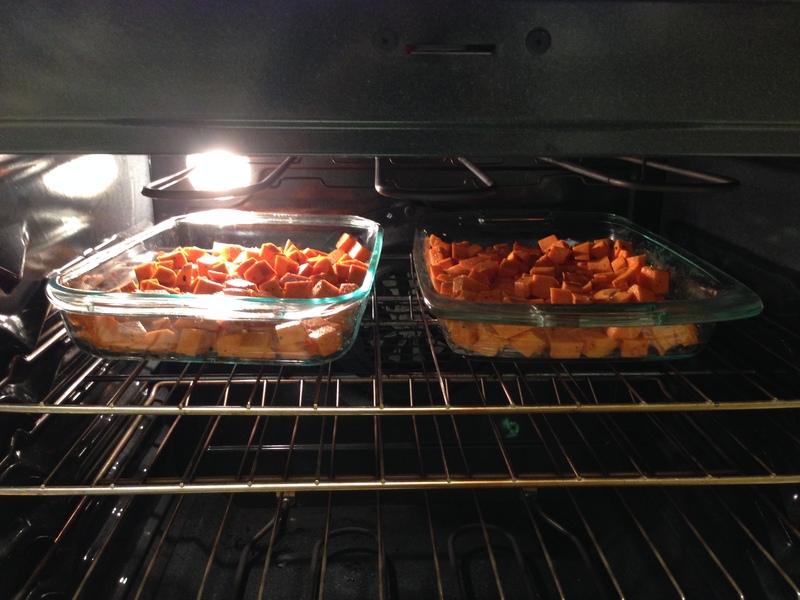 Add 1-2 Tablespoons grapeseed oil to the potatoes and spices and mix until everything is fairly evenly coated. Bake in a preheated oven at 400 degress F for 40 minutes. I’ve found two good-sized sweet potatoes fill a glass 9×13. 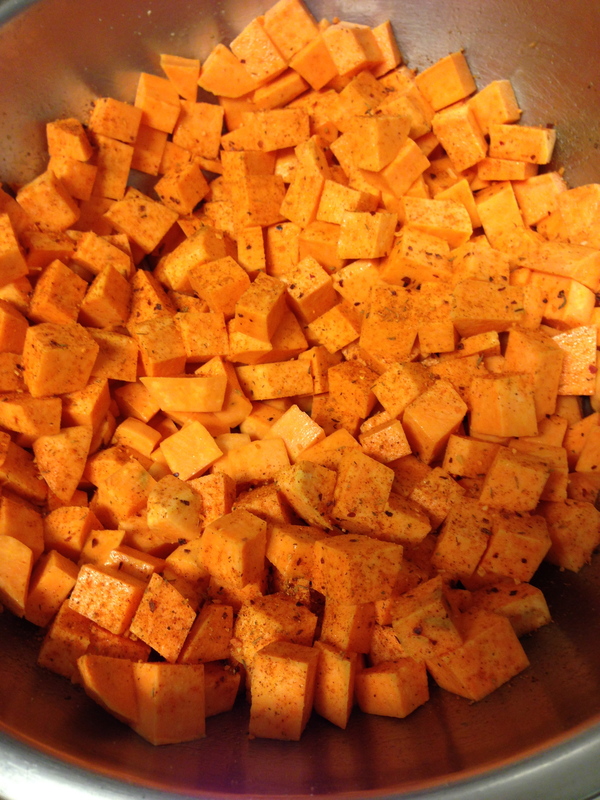 If the potato cubes are more than about 2 deep in the dish, you will need to increase the cooking time. Posted on July 5, 2015 by Katie •	This entry was posted in Cooking Adventures, Home Living, Lactose-free Cooking and tagged cooking, dairy-free, gluten free, nut free, soy-free. Bookmark the permalink. I’ve recently discovered sweet potato wedges, lovely.